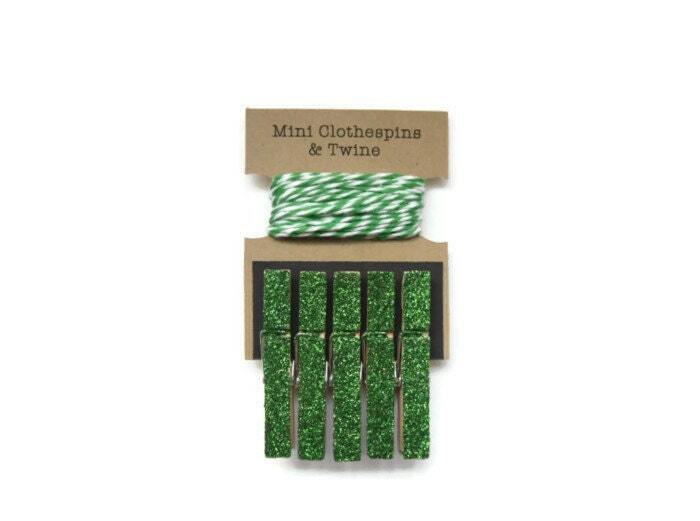 Emerald Green Glitter Mini Clothespins with Twine. Art Display. Photo Display. Photo Clothesline. 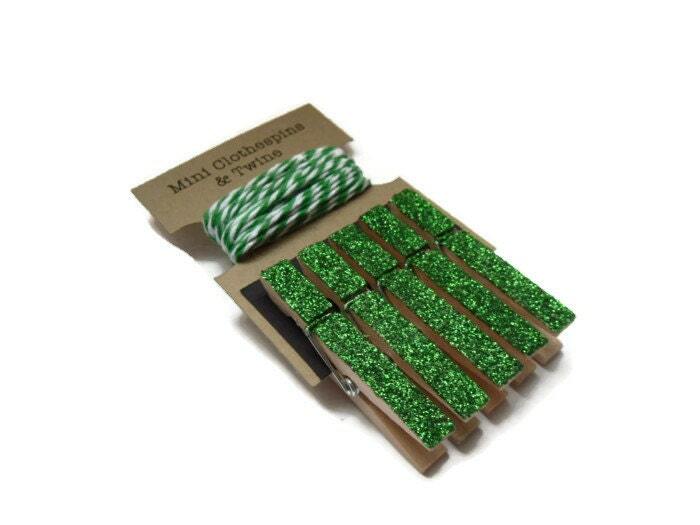 Mini Glitter Clothespins. 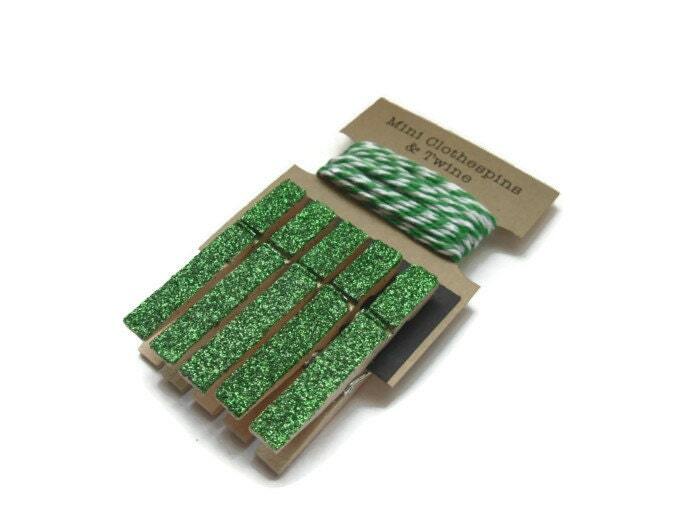 A set of five (5), emerald green glitter MINI clothespins with five (5) feet of matching emerald green/white twine.